Check out our listings for single family homes, houses, townhouses, condos and real estate for sale in the tri-cities. Buying a home is the most important transaction in your life. Let me show you the best properties on the market. What's my home worth? Want to know how your investment is doing? Take advantage of our free home evaluation. Deciding to buy or sell is an important decision, and one that you should feel comfortable doing. Here you’ll find resources to assist you with all your realty needs. Whether you are a first time homebuyer, looking to sell your property, or an experienced investor, I can provide you with comprehensive solutions through Tri Cities real estate. My website allows you to search for current property listings in and around the Tri Cities area, and receive detailed descriptions and photographs. Customize your search by area, price or property type. Thinking of selling your home? Complete my on-line submission form and get recent sales figures of similar properties. Learn about my company and discover why we are the best at what we do. 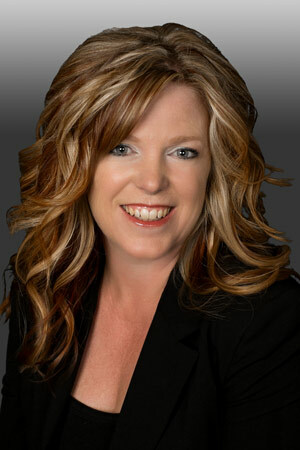 I am here to provide answers to your questions about Tri Cities real estate and to support you along the way. As a long time resident of the Tri Cities, I have developed an uncommon knowledge for this area’s hidden gems; it’s communities, recreational programs, schools and much more. If you’re looking for something unique within the Tri Cities real estate market, I would be happy to share my knowledge with you to ensure you locate the best possible property that works specifically to your tastes and logistical needs. Tri Cities real estate offers some of British Columbia’s most pristine locations, from mountaintop mansions above to comfortable ranchers in the lush, green valleys below. As a seasoned real estate agent and active member of the Tri-Cities Chamber of Commerce, I have valuable knowledge of not only Tri Cities real estate, but also all of the intricacies that go into the purchase or sale of a home in this area and its surrounding communities. Whether you’re looking to sell or purchase Tri Cities real estate, I can help make it a more relaxed, informative and painless experience. Tri Cities real estate offers some of British Columbia’s most pristine locations, from mountaintop mansions above to comfortable ranchers in the lush, green valleys below. As a seasoned real estate agent, I have valuable knowledge of not only Tri Cities real estate, but also all of the intricacies that go into the purchase or sale of a home in this area and its surrounding communities. Why not have an enjoyable encounter with a Realtor® you can connect with, and who understands the fear, uncertainty, and mixed feelings you may be experiencing during the home buying and selling process? I’ll help you get past the doubts you may have and make an intelligent decision to buy the home you want, or to take a realistic view of selling your home. The first thing I like to do when dealing with a buyer is to meet with you and ask questions to learn about you and what YOU feel is important. Then, I can tailor your search to limit it to the things you want to see. If you are selling a home, I’ll aggressively market your home using conventional methods such as open houses, but also use my social nature to spread the word about your listing, work with agents inside and outside my office, post information on my Facebook page, and use all available methods to make your home visible. When I decided to enter the market I knew nothing about Port Moody real estate. Kim made the experience of buying a house very easy for a first time buyer. Working with Kim is like working with a favorite member of the family. She is always available and willing to help where ever necessary. She made downsizing easier and less stressful.